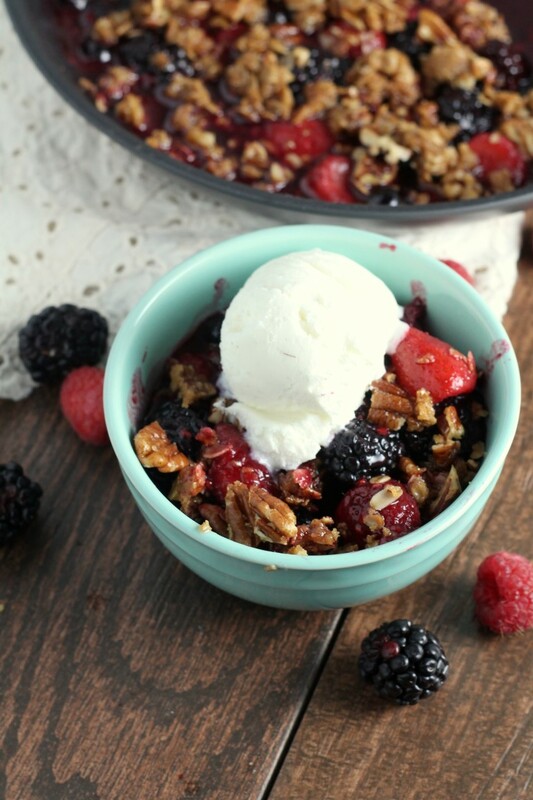 Warm juicy berries topped with crunchy brown sugar crisp and served with a big scoop of vanilla ice cream is a perfect and classy dessert for two. I’m partnering with Circulon® to bring you a series of recipes for 2 that are perfect for a date night in. This is the third recipe in the series. Find the first one here and the second here. What kinds of Saturdays are your favorite? We have had a lovely series of Saturdays the past few weeks that have all been different, yet wonderful in their own way. Last weekend was our sister’s wedding which was filled with lots of exciting time with family, fun preparation work and a beautiful ceremony and reception. This Saturday was so much calmer and we worked around the yard and house in the sunny, warm weather, working on projects and tidying up the landscaping for spring. It was a quiet day that gave us a sense of peace and accomplishment. 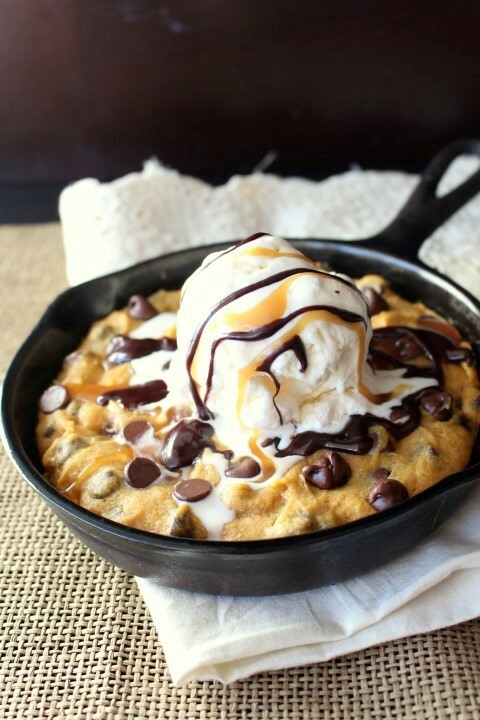 A warm, gooey pumpkin chocolate chip cookie, served with vanilla ice cream, hot fudge and caramel sauce. As everyone else in the blogging world sets aside pumpkin for next year and brings on the peppermint and gingerbread, I’m on a roll here sharing my most exciting pumpkin recipes of the season. I know I’m not supposed to compare myself to other bloggers, but how else am I gonna learn the trends. I’ll admit though, the way the blogging world flies through the seasons takes my breath away.